I’ll be the first to admit I have a dream job. I get to travel the world riding and racing my bike, chasing exciting goals, and prioritizing health and fitness. Yes, sometimes training and racing is hard, really hard, but I love what I do and that makes everything worthwhile. For 11 years, I have happily put on the blue cycling kit of the ClifBar (Luna) Pro Team for every training session (and still will for all UCI events). That adds up to a lot of time in Blue! 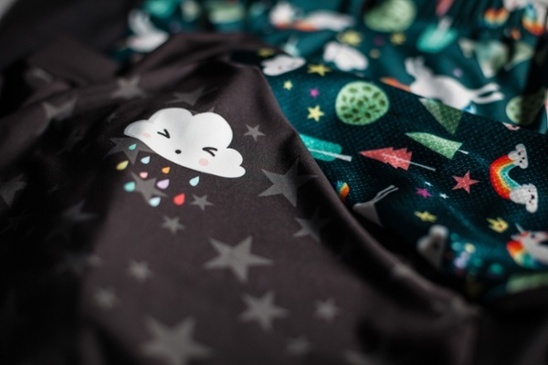 So, when Garneau gave me the opportunity to design my own kit I knew I wanted to make something totally different. Something playful & fun that showed my non-serious-racer side, a side of my personality that has been as important as work ethic and drive to find success at the World Cup level of mountain bike racing. Fun is what keeps you motivated and loving what you do. It is what allows you to put in big hours in tough weather, to smile when you’re exhausted or discouraged, to see a race as an exciting challenge rather than a sufferfest and to keep your goals in perspective when they take longer to fulfill than you had hoped. Keeping fun at the essence of what I do, even when it’s time to get serious, is what keeps me striving for more. Rainbows and unicorns for the kid in me that gets inspired by the idea of magic and wonder and also the adult that knows a big part of finding the best in yourself on any given day is believing that anything is possible. On my back-right shoulder is a rain cloud with colourful raindrops because every situation is what you make of it and with no rain, there’s no rainbows. A little adversity is what helps you shine! And, well rainbows and unicorns just go together. I wore rainbow and unicorn socks at the Olympics when I rode to a Bronze medal in 2016. Socks are one of the few personalized items you can get away with while competing at the Olympics and I wanted them to have the fun magic feel I wanted to experience there. Horses, not bikes or unicorns, were my first love. Working with them was a huge part of my learning the work it takes to create the opportunities you want in life. Earning cycling’s coveted rainbow stripes of World Champion has a lot to do with the hours spent cleaning horse stalls, always knowing that putting the work in was worth it. Quick C? Yeah that’s me! I’ve been part of an amazing all women’s powerhouse team for almost my entire career. Not only are the Clif Team women incredible athletes, advocates and people, they are also a ton of fun! At team camp last year, while keeping ourselves smiling during hours of trying to capture action and team shots we started rapping, cause you know, that’s what cyclist do right? We decided we all needed rap names and mine became Quick C. Make sure you watch for my teammates custom kits to learn their nicknames. We’d love to hear them cheered at any of the races!!!! What’s in my back pocket aside from ClifBars? Well, not a unicorn, but also magical. Walking into the closing ceremonies of the 2012 Olympics, I wasn’t sure I really wanted to be there. I didn’t feel like celebrating. Whereas in Beijing, at my first Olympics, new to international racing I finished 4th and had felt like an ecstatic kid at the closing ceremonies, in London, I felt like a failure. I had come to the Games as an experienced performer and serious contender, the World Champion and World Cup leader set on winning. I came up far short in 9th. I was devastated. But I was still at the Olympics!!!! I couldn’t sit out on something as special as the closing ceremonies feeling sorry for myself, could I? The closing ceremony had that gritty urban London Grunge vibe to it which didn’t help my spirits, but with every closing ceremony and Olympic opportunity won or lost there is also a new beginning, new hope and a new challenge. When the ceremony scenes transferred from London to Rio the stage lit up with vibrant colour, life and excitement and before the torch for London was extinguished the symbolic creature in my back pocket rose from the flames. It symbolized rebirth and was exactly the message I needed to go back to being the Kid that found joy in simply riding her bike as fast as possible. I carried that idea forward with me to Rio- the belief that I had the opportunity to rise again and just ride my bike as fast as possible. Check out what is. It’s in the pocket below the maple leaf always ready to rise. More than just Clif Bars in my pockets! Life and racing isn’t always rainbows and unicorns, but there should always be room for a little magic, mountains and trees! 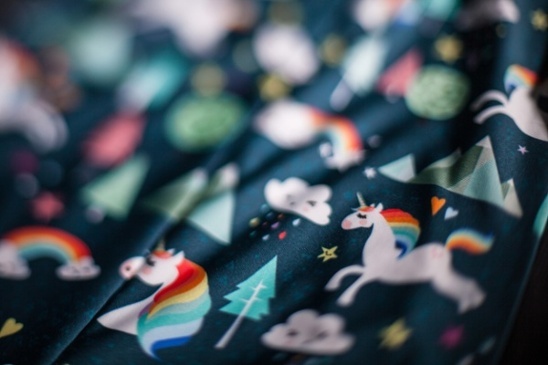 If there is someone in your life who loves unicorns and a little magic (and how could there not be! ), these kits are available online here. Hope you love it! Thanks to Louis Garneau for their help putting my ideas into an awesome design! Kit available until February 11th only! Working on getting youth sizes!! !